Don was born on a family farm in Carroll County, Mo. He was FFA State Farmer of MO. Don moved away when he was 20 years old to enlist in the Navy.He served our great country from 1953-57 then pursued an Engineering career with Honeywell. He worked at Honeywell for 30 years then retired to manage his farm in Livingston County. He sold this farm along with a farm he owned with his brother to move closer to the Kansas City area. 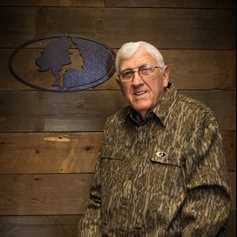 Don grew up with a love, passion and respect for the outdoors with upland bird hunting still his favorite today. He spends countless hours in the field with friends quail hunting. He enjoys playing Golf whenever he can. Don obtained his Missouri and Kansas Real Estate license and Certified Land Specialist for Mossy Oak Properties and is now working for Mossy Oak Properties of the Heartland selling recreational and farm property. Don truly understands land and how to identify properties according to the clients needs.